My favorite type of music is Dub-step and Rap. 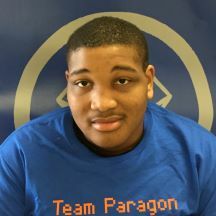 Being apart of Team Paragon will definitely help me in the future because I have learned how to work as a team, problem solve, think critically, be responsible, give back to my community, and advocate for myself. I would like to travel to Japan.